Thanks to the generous 102.3 Now! Radio family, Ryan and I picked up 15 bags of clothing donations and 2 sleeping bags from the Now! Studios on Monday, Nov.14! Our very big thanks to everyone who donated and for all of the amazing support Now! Radio continues to give us. We couldn’t do what we do without them! 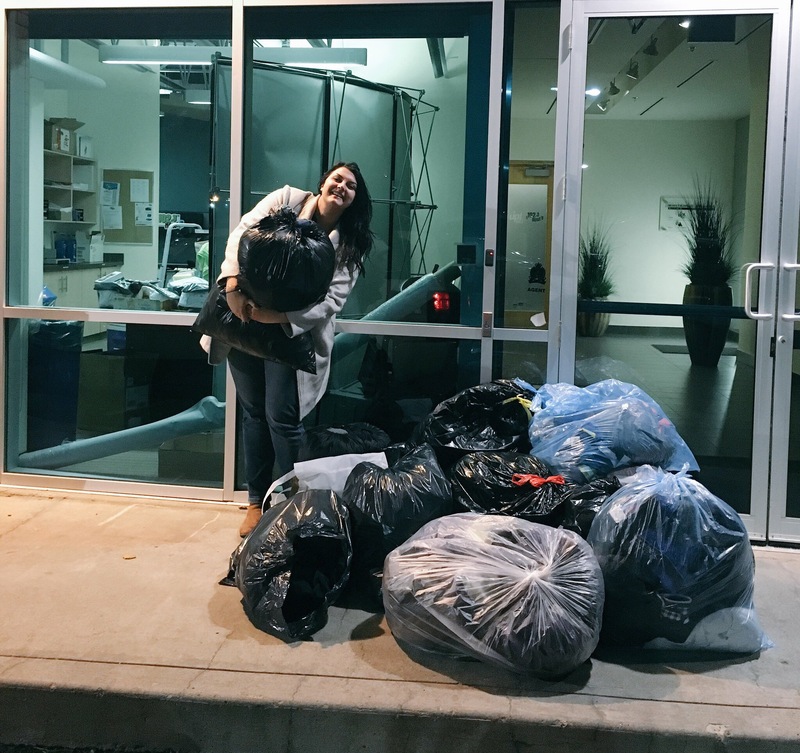 That brings us to 35 bags of clothing donations collected for #bundleupyeg since we launched just two weeks ago! We have more pickups planned for this week and will be doing our first donation delivery to the Bissell Centre on Thursday thanks to the help of my dad! You can continue to drop off your winter clothing donations at Now! Radio until December. You can also current drop off donations at Blitz Conditioning. A box will open at Kingsway Mall at the end of the month! Thank you everyone for your support. Only 95 bags to go until we reach our 2016 goal – here’s to hoping we not only reach that goal, but surpass it!